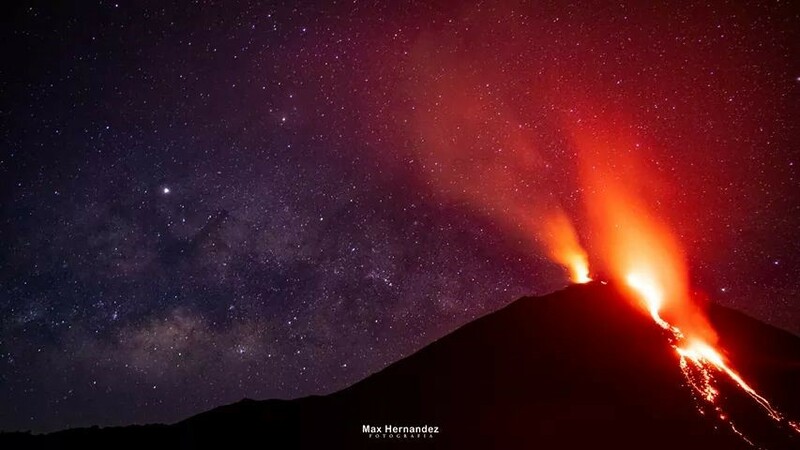 This is the Guatemala Impact Marathon, a race held on the active Pacaya volcano and the culmination of an incredible week as part of the Impact Marathons team. A group of 20 of us met up the Monday before the race and spent the rest of the week learning about a beautiful and enigmatic country and helping out on projects that we had fundraised for. Guatemala is country with striking wealth inequality, and following a disastrous volcano eruption last year, two villages were destroyed, and hundreds of survivors remain in emergency shelters. To help them bounce forward into a better future, our charity, Seres, is providing land and agricultural training to allow them to grow a diverse mix of subsistence and cash crops in sustainable manner. Many of the “superfoods” on our supermarket shelves such as chia seeds and amaranth are native to Guatemala, and I could spend the rest of this report waxing on about the taste of truly fresh avocados and coffee…..
As well as the learning, we got our hands dirty clearing undergrowth and planting seeds; and also spent time painting and building furniture for an education centre that Seres will use to develop and empower youth community leaders. Discovering the lack of education opportunities and the extent and impact of gender inequality certainly made me think about the things I take for granted in my life in the UK. Thankfully the manual labour, which was new to many of us, didn’t cause any injuries and we all made it to Pacaya ready to take on the marathon. It certainly wasn’t called ‘The Beast of Pacaya‘ for nothing. The course led us down through farmland and forest to a giant lava field, the remnant of an eruption that occurred in 2010. Running through the boulders and rock formations was like being on another planet and I only wish my English and photography skills could do it justice. After a very enjoyable, downhill first 10km, the course turned and the long climb up to crater rim began. On the way up we passed villages with charming and slightly bemused locals offering fruit and water before being reduced to a slow trudge up through steep sections of loose rock. Thankfully the 2000m ascent climbed through the forested side of the volcano, providing shelter from the sun, but also meant the summit was painfully always out or sight. When the crater rim was eventually reached the pain of the climb fell away as we were once again greeted by unforgettable views. Winding around the narrow crater rim with solidified layers of lava inside and more volcanoes as far as the eye could see to the outside made my hair stand on end in excitement. 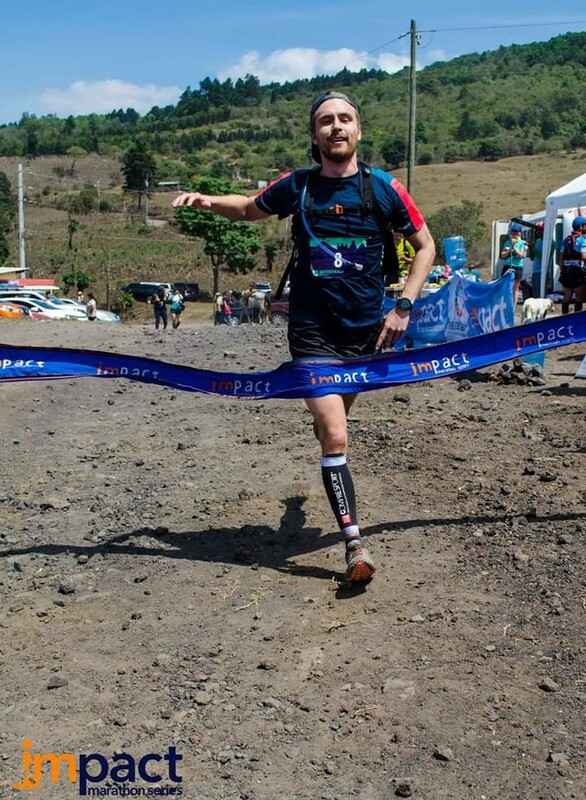 All that was left after leaving the crater was a mad dash off the side down the loose scree and through the finish line of by far the most mind-blowing race of my life. 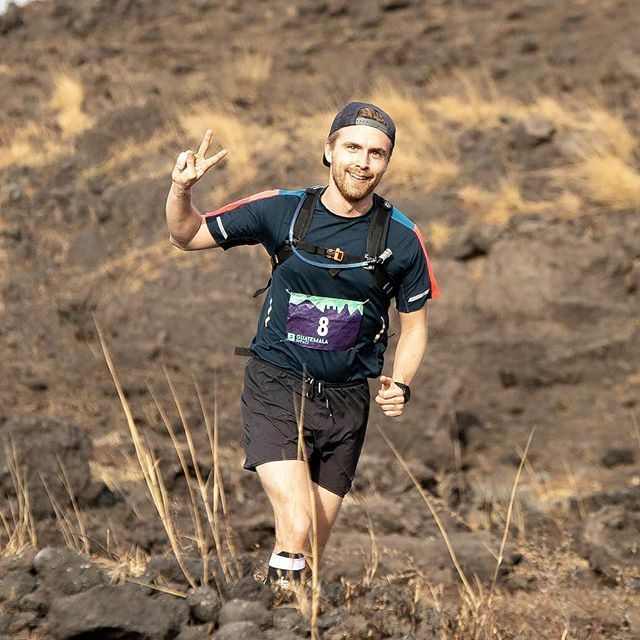 If you’re after a big adventure that will challenge your fitness, teach you about somewhere new and inspire you with power of community; I could not think of better place to look than an Impact Marathon.